Chinese coins represent the powerful union of heaven and earth, yin and yang energies. 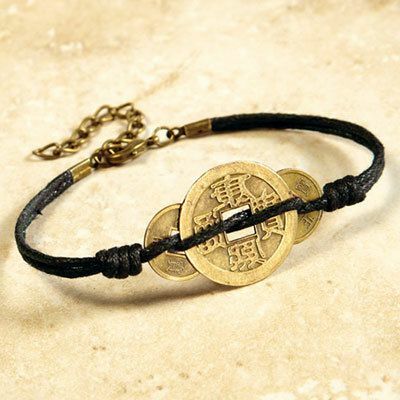 Three replica antique coins on a black cord make up this lucky coin amulet bracelet. 7½"l with 2" extender. I like it. Broken by the second day I wore it.I work with beads & other materials so worked on it. Good as new now!